Defense News Early Bird Brief for Wednesday, December 21, 2016. Defense News Early Bird Brief for Tuesday, December 20, 2016. American Legion ONLINE Update for Wednesday, December 21, 2016. Reserve Officers Association (ROA) SmartBrief for Wednesday, December 21, 2016. DOD Contracts Awarded on Wednesday, December 21, 2016. DOD Contracts Awarded on Tuesday, December 20, 2016. Military.com 3-Star Rejects Trump F-35 Slam: ‘This Program Is Not Out of Control’. The manager of the Pentagon’s Joint Strike Fighter program said Monday he’ll welcome the opportunity to sit down with president-elect Donald Trump and members of his new administration to address his public critique of the F-35. Stars and Stripes Russia missing from Trump’s top defense priorities, according to DOD memo. A Pentagon memo outlining the incoming Trump administration’s top “defense priorities” does not include any mention of Russia, which has been identified by senior military officials as the No. 1 threat to the United States. Defense News Extended F-35 Flight Testing Could Eat Into Follow-On Upgrades. The Pentagon’s head of acquisition is preparing to alert lawmakers that F-35 developmental flight tests, originally slated to end in October 2017, could extend as long as May 2018. Should more money be needed to fund those activities, the F-35 joint program office plans to seize it from the follow-on modernization account, which would defer those activities by proxy, the head of the F-35 joint program office acknowledged on Monday. Army Times New in 2017: New fitness assessment to go combat arms. After several delays, the Army will roll out the Occupational Physical Assessment Test Jan. 1 for all recruits and soldiers looking to reclass into physically demanding jobs like infantry and armor. C4ISRNET Marines to get upgraded smartphones for close-air support. The Marine Corps announced this fiscal year they’ll receive smartphones for faster, easier and more accurate fire support, the service said in a release. Navy Times Navy lifts operational pause of Growlers, Super Hornets. The Navy has lifted the operational pause on E/A-18G Growler and F/A-18 E/F Super Hornet squadrons, according to a Naval Air Forces press release. The Daily Press Young airmen at Langley AFB guide Raptor pilots. Airman 1st Class Alexander Gomez Magee entered the Air Force only eight months ago. He’s already in high demand. Magee is training as an air traffic controller at Langley Air Force Base. The elite pilots who fly the F-22 Raptor will lean on this 2012 high school graduate to help take off and land their multimillion-dollar aircraft. New York Daily News: Trump interviewing candidates for remaining cabinet posts, including Veterans Affairs head. President-elect Donald Trump spent his Tuesday holed up at his Mar-a-Lago estate in southern Florida meeting with candidates for his unfilled cabinet and cabinet-level positions, including prospective hires to run the Department of Veterans Affairs and the Office of the U.S. Trade Representatives. ABC News (AP): Trump Hosts Candidates for Key Veterans Affairs Post. President-elect Donald Trump met Tuesday met with candidates for his unfilled Cabinet positions, including prospective hires to run the Department of Veterans Affairs, a beleaguered agency that the Republican businessman has vowed to overhaul. Vice President-elect Mike Pence met with members of his incoming national security team a day after acts of violence rocked the world. Bloomberg Politics: Trump VA Contenders Said to Include Cleveland Clinic’s Cosgrove. Cleveland Clinic Chief Executive Officer Delos “Toby” Cosgrove and Luis Quinonez, head of a company that provides health-care services to the military, are being considered by President-elect Donald Trump to lead the Veterans Affairs Department, according to a person familiar with the process. The Hill: Report: Trump considering two health CEO’s to lead VA. Donald Trump is considering two health CEOs to lead the Veterans Affairs Department, Bloomberg reports. Cleveland Clinic Chief Executive Officer Delos “Toby” Cosgrove and Luis Quinonez, CEO of IQ Management Services, are reportedly both under consideration to head the department under Trump.  Atlanta Journal-Constitution: New Atlanta call center to help suicidal Veterans. A new call center for suicidal veterans in Atlanta that’s to be dedicated today will be on the front lines of a push to end the epidemic of veterans who end their lives. The facility has been taking calls since October and is one of two call centers in the country that serves veterans who are suicidal or who are experiencing some other crisis. Stars and Stripes: VA touts improved Vets crisis line, opens new call center. The Department of Veterans Affairs on Tuesday officially dedicated a new call center for its veterans crisis line — an addition that’s nearly doubled the agency’s capacity to help suicidal veterans and servicemembers. The dedication of the new call center, located in Atlanta, comes at the end of a year in which it was revealed the crisis line was sending calls to voicemail or rolling them over to a backup call center. Military Times: Campus mental health services are helping Veterans succeed in college. Retired Army Lt. Col. John Bechtol understands how important it is for veterans on college campuses to have access to mental health services. “To come on campus in your mid-20s after having served, having nothing in common with your peers, it tends to generate feelings of separation,” Bechtol said. The American Prospect: VHA Support for Burse Practitioners Draw Fire from Medical Leaders. The Veterans Health Administration has weighed in on a controversy that has embroiled medicine and nursing for the last 50 years: whether advanced practice registered nurses (APRNs) can operate without direct physician supervision. On December 14, the VHA amended its medical regulations to “permit full practice authority” to many of the system’s nurse practitioners, a move that immediately drew the ire of the medical community. USA Today (Video): VA reverses course, releases health care quality data. The Department of Veterans Affairs has quietly released quality-of-care ratings for its medical centers across the country, despite years of refusing to share them with the public. The move follows a USA TODAY investigation that revealed ratings for 146 VA medical centers for the first time earlier this month. VA Secretary Bob McDonald complained at the time that their publication across the USA TODAY Network caused “unwarranted distress” to veterans and could dissuade them from getting care. Associated Press 140 years late, Nevada veteran lauded with Medal of Honor. A Nevada Army veteran who died without knowing he won the nation’s highest medal of bravery received the honor he’s been owed for nearly 140 years in a ceremony on Monday. Defense News The Name Game: Rumors for Deputy and Service Secretaries. With retired Gen. James Mattis viewed as a lock to become the next secretary of defense, the question now turns to who will make up the rest of his team. Military Times Congress wants taxpayers to know how much they spend on war. Congress wants every taxpayer to know just how much of their money went to wars over the last 15 years. Stars and Stripes McCain blasts Navy warships in report on Pentagon waste . The chairman of the Senate Armed Services Committee is blasting the Navy’s expensive new warships that have been plagued by engine problems and have yet to demonstrate key warfighting functions. Washington Examiner Bipartisan group of senators creating panel on Russia hacking. Democratic Sens. Chuck Schumer of New York and Jack Reed of Rhode Island will partner with Republican Sens. John McCain of Arizona and Lindsey Graham of South Carolina for the committee’s creation, according to a report of the joint letter. Defense News Interview: US Navy Secretary Mabus on Alternative Fuels, LCS, and What Actually Happened to Furlough Funds. The outgoing defense secretary says that among his proudest accomplishments is championing the use of alternative fuels by the Navy and Marine Corps but he also talked about one of the fights he did not win. Stars and Stripes Trump taps billionaire West Point grad for Army secretary. Billionaire New York businessman and Army veteran Vincent Viola is President-elect Donald Trump’s pick to serve as the Army’s top civilian, Trump’s transition team announced Monday. Defense News Path Forward For Army’s Modernization Priorities Takes Shape. The Army this week took another step in articulating what types of investments it deems necessary to support operational ideas about future ground warfare. Defense News US Marine F-35B Fighter Jet Deployment Onboard British Warship Made Official. US Marine Corps F-35Bs are to be deployed onboard the British Royal Navy’s new Queen Elizabeth-class aircraft carrier when it undertakes its first operational tour, the two governments have announced. Navy Times US Navy’s New Fleet Goal: 355 Ships. Tossing overboard the budget constraints that have weighed down the US Navy’s attempts to grow its fleet, the world’s most powerful sea service is embarking on the biggest proposed expansion since the early 1980s, upping its goals from today’s 308 ships to a whopping 355 ships – beyond even the incoming Trump administration’s stated 350-ship goal. Stars and Stripes Versatile F-4 Phantoms making ‘final flight’ for US military . The last of thousands of F-4 Phantom jets that have been a workhorse for the U.S. military over five decades are being put to pasture to serve as ground targets for strikes by newer aircraft. But first some well-earned honors. Stars and Stripes: New law allows injured Veterans to recoup erroneous severance taxes. Thousands of veterans injured in combat could soon be able to recoup taxes erroneously collected from their disability severance pay due to a new law signed by President Barack Obama. About 13,800 veterans separated from the military due to their injuries might have been affected, the nonprofit group National Veterans Legal Service Program estimates. Due to an accounting error, as much as $78 million in taxes deducted over decades from the lump sum payments. The Washington Post (Federal Insider): Wage a ‘straight-out war’ on federal bureaucracy, Gingrich urges Trump. It might be time for federal agencies to order flak jackets. If President-elect Donald Trump takes former speaker Newt Gingrich’s advice to attack the federal bureaucracy, body armor could be needed. “It’s got to be a straight-out war,” Gingrich (R-Ga.) said Friday during a Washington Post Live interview with my colleague James Hohmann. Department of Veterans Affairs (VA) feds might need helmets, too. FOX News: Thad Allen a ‘serious contender’ for Trump VA Secretary, sources say. Former U.S. Coast Guard Commandant Adm. Thad Allen has emerged as a “serious contender” to be President-elect Donald Trump’s pick for Veterans Affairs secretary, sources close to the transition tell Fox News. Allen was meeting with Trump on Monday at his Mar-a-Lago estate in Palm Beach, Fla., transition officials told reporters Monday. Lincoln Journal Star: The complicated why of Veteran suicide. Jaime Obrecht is a veteran. He served in Vietnam, and he saw what war does. The Marine came back to Lincoln in 1969 and became a teacher. Years ago, he was part of a support group made up of fellow Vietnam veterans. One of them said he’d tried to kill himself by overdosing on aspirin. GCN: VA building AL-powered knowledge graph of Veteran health. A partnership between an artificial intelligence firm and the Department of Veterans Affairs seeks to improve health care for veterans while enabling the company to test its technology. Through the five-year collaboration, which was finalized in October and announced at the end of last month, Flow Health will use machine learning techniques to take aggregated and anonymized VA data and create a knowledge graph that health practitioners can use to better treat veterans. Information Management: VA Lays Out Plans For Cloud-Based Digital Health Platform. The Department of Veterans Affairs has developed a blueprint for a cloud-based technology platform that will integrate veteran data from VA, military and commercial electronic health records, as well as apps, devices and wearables, so that the information is available to providers in real time. WNPR (NPR-90.5, Audio): On the Front Lines of Change: A conversation with Female Veterans. Last year was a landmark year for the U.S. military and its servicemembers. For the first time, women were granted equal access to all military combat roles. This hour, we take a closer look at the military’s gender integration efforts and consider what the future holds under President-elect Trump. Mortgage Professional America: VA announces new loan limits for 2017. The Department of Veterans Affairs has announced new loan limits for 2017, according to the Military Times. The maximum amount for the VA Home Loan Guaranty Program for next year will be $424,100 in most counties. In higher-cost counties, the loan limy will range from $425,500 to $721,050, according to the Military Times. The new limits will take effect on Jan. 1. Task and Purpose Denzel Washington: ‘Movies Are Not Difficult. Send Your Son To Iraq. That’s Difficult’. Denzel Washington spoke about how some actors don’t realize just how good they have it, or what “difficult” really means. Stars and Stripes Subtle falsehoods invade ‘real’ news. There is no such thing as an uninterpreted fact, and journalists are just as much interpreters as reporters of facts. POLITICO Morning Defense for Wednesday, December 21, 2016. A Daily Briefing from Inside Washington’s National Security. POLITICO Morning Defense for Tuesday, December 20, 2016. A Daily Briefing from Inside Washington’s National Security.